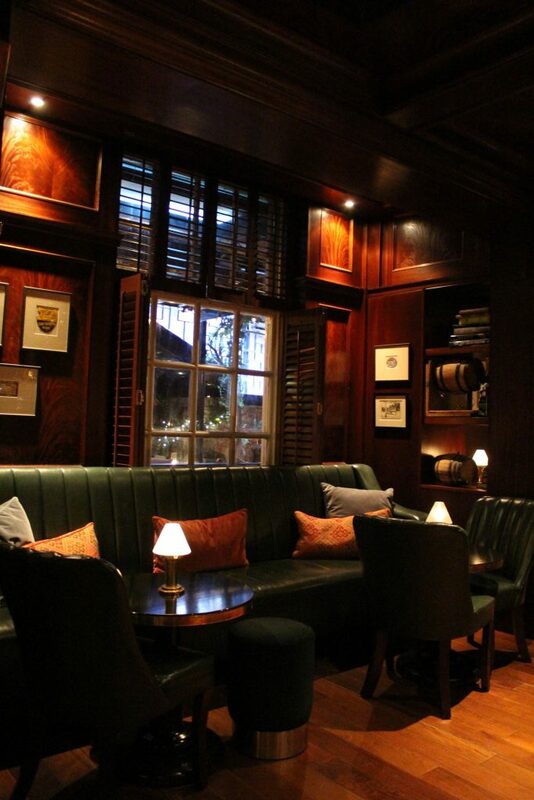 We’re in The Bloomsbury Club, a speakeasy-esque bar in the basement of The Bloomsbury Hotel in London. We’ve opted for a seat at the bar, although there are plenty of cosy tables around us in the wooden paneled room. There’s also a large terrace, lit by candlelight and warmed with heaters and blankets. 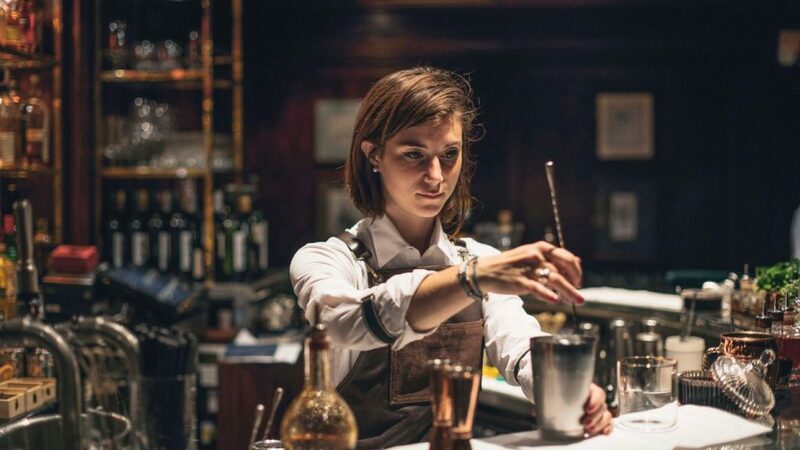 Charlotte Charret is busy creating a dessert cocktail using Brockmans. She began working as a waitress in Kensington, making £29 for a shift which they claimed was four hours. It turned out to be eight, and every time Charlotte asked for a contract, they brushed it aside. There were times when she’d show up for work only to be told there was none to be done, and after six weeks with no pay, she began to re-evaluate the situation. One day she walked in and said she was quitting. She never got paid what she was fully owed. Charlotte had been living at the hostel for a few months now. 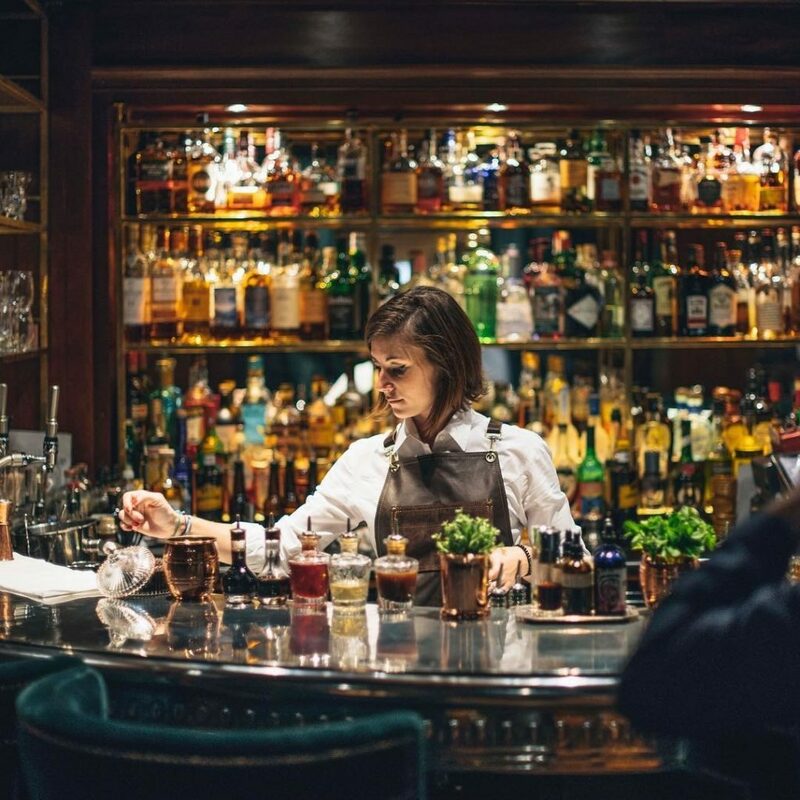 We thought this may have been her breaking point, but she said, “I never give up.” She found herself a job at a pub, then a private member’s club, before returning to bartending at The Doyle Collection in Marylebone. 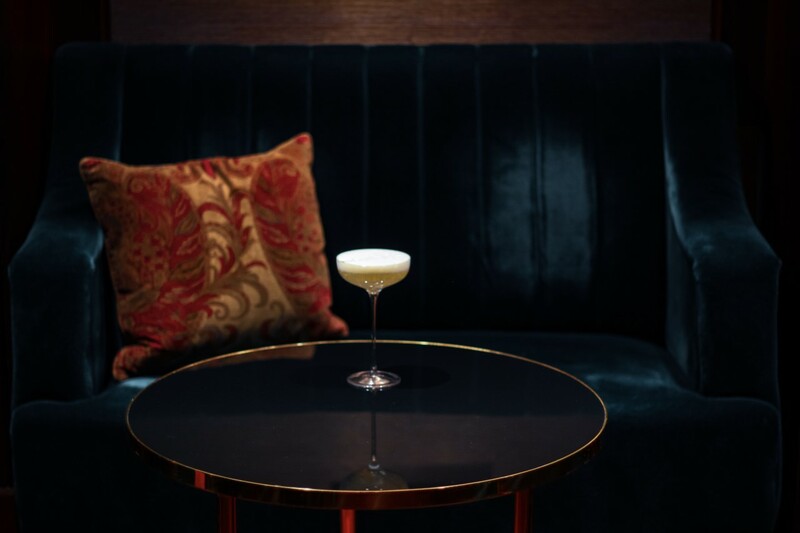 Six months later, she transferred to the newly reopened Bloomsbury Hotel, starting in The Bloomsbury Club downstairs. But what Charlotte learned from her previous bar manager Brian is that it’s not about being a boss, it’s about leading. “It’s about finding a different way to speak to each person that works.” Along the way, she’s found that bartenders come to her for advice, but also to provide candid feedback. “If you don’t look after your team, they won’t look after the guests. If we don’t have guests, what’s the point of doing this job? I want them to come back.” She also learned that most times, being the first to apologise is the best thing you can do. When creating new cocktails, Charlotte visits the chef to test her creations. “I find it helpful, especially as a former chef myself. Food sparks my creativity,” she says, and we believe it given she has two degrees in catering and a specialisation in bartending. She left that after working such long hours constantly surrounded by men with little access to the floor and the creativity that’s sparked through understanding her guests. She enjoys the interaction, creating something that each individual would like and consistently improving upon her own ideas. As for who is drinking… anyone on a date or looking to enjoy whiskey and relax. Plenty of gentlemen in the evening too. “Sometimes I want to tell guests that, you know, this is a hotel too. We have rooms,” she smiles. 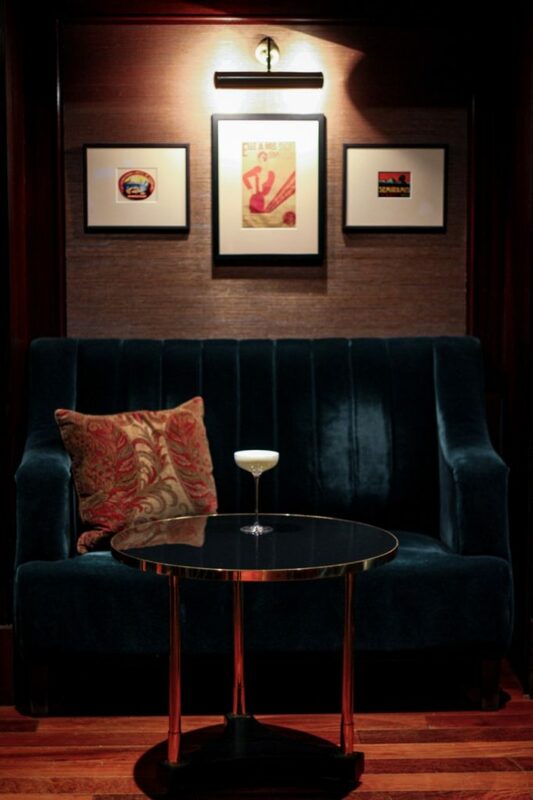 The live music in the corner paired with 5-star service makes for the perfect setting for any out-of-towner or local. If you do visit, we’d recommend booking ahead. But if not, Charlotte is experienced in “creating a little miracle,” and making room. 1.Describe The Bloomsbury Club in a few words. Cosy and romantic. You can feel at home here. 2. What’s the best thing you’ve overheard? I just enjoying people laughing about connection between the characters on the menu. 3. Why is gin so popular? Well, first we’re in London. It’s something really English and easy to drink in refreshing cocktails or a G&T. 4. What about Brockmans appeals to you? 5. If you could have one last drink before you died, what would you choose? 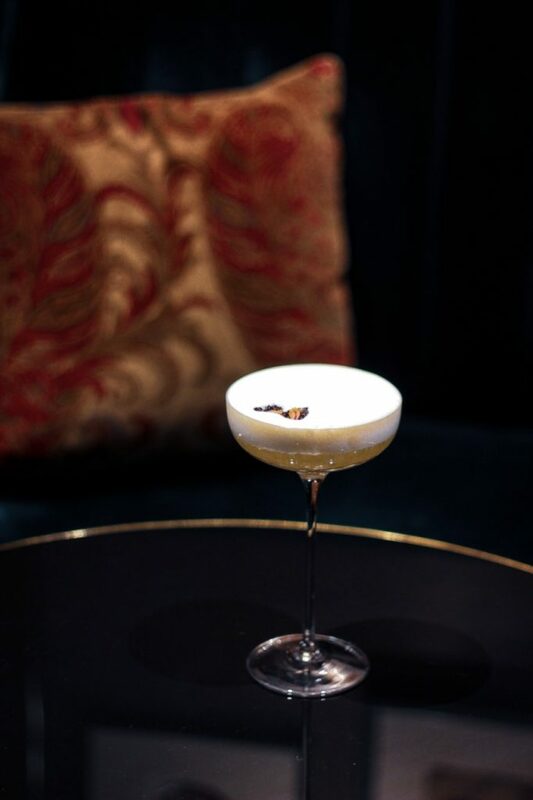 The forgotten classic: gin & milk. Full fat milk, 10ml sugar and old tom gin. It’s polarising but I love it. It’s more of a dessert cocktail, incorporating ingredients you’d have throughout a meal into an after-dinner cocktail to finish off the evening. Pour Brockmans Gin, champagne syrup* and lemon juice into a shaker with ice. Shake. Double strain into a glass. *To make the champagne syrup, cook flat champagne in a saucepan. Simmer until the sugar has turned into liquid. **For the foam, use the ratio 350ml/12g egg whites/yogurt powder. Put this in a mousse siphon. Follow us on Twitter, Facebook and Instagram or sign up to our newsletter to receive our updates. © 2019 Brockmans Gin. All rights reserved. Are you over the drinking age in your country? You have already played today. Please come back tomorrow and try again. You must enter an email address in order to claim your prize so that we can contact you.